It's the first day of the Bloggers Beauty Brawl and today we're all going to be hitting it off with a liquid lipstick. 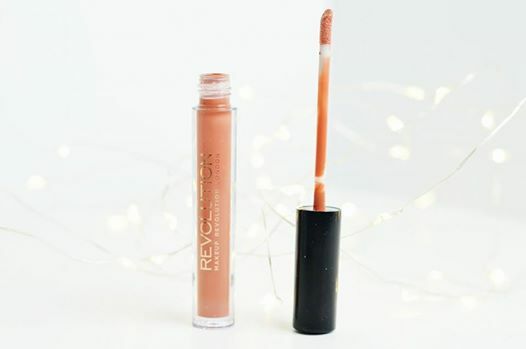 So I decided to choose a Makeup Revolution liquid lipstick because well, Makeup Revolution is my favourite brand however I have purchased some products which have been really disappointing. Makeup Revolution is one of those brands where you'll either find products which are amazing or not so much and I have to say; this is one of those amazing products. Below I have reviewed this product based upon the product itself, the packaging and the price. The price was something which was difficult to comment on as it comes in a pack of three; but for the price for three of them, it's so affordable which is why I rated it so high. The product itself is highly pigmented and sets matte, but not ridiculously matte like some liquid lipsticks. It's absolutely gorgeous for every single Season because it's not too dark but it's not too pale either; I really love the way it suits my skin tone (I do not fake tan and I look like a ghost). I'd definitely say this product is more orange toned than pink which I know a lot of people prefer too. The packaging was also another difficult one to rate. 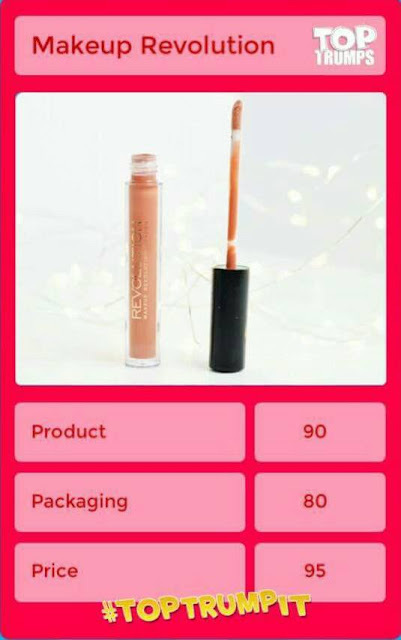 I decided to place this at 80 because the general packaging of the liquid lipstick is perfectly fine. It's transparent so you can see what colour you're picking up and whether or not you're going to actually like it and the gold font and black lid is pretty much representing the Makeup Revolution brand and the theme they use for all of their products. I have dropped this so many times too and not once has it broke, so I'm happy. Last but not least is the price. Now I believe the whole set of these cost £5.99 (I'm not making any promises). So for a set of three liquid lipsticks, this is an unbelievable price and completely worth it for the quality products you get too. I personally would repurchase these whenever they run out because not only can you get a heck load of use out of each tube, but they're cheap enough for anyone who is on a budget, such as myself! Let me know if you have tried these out and what your thoughts are on them!